Muhlberger's World History: Who reads this stuff? Back in the mid-1980s, I spun an article off my dissertation, The Fifth-century Chroniclers. The article was entitled "Prosper's Epitoma Chronicon: Was There An Edition of 443?" 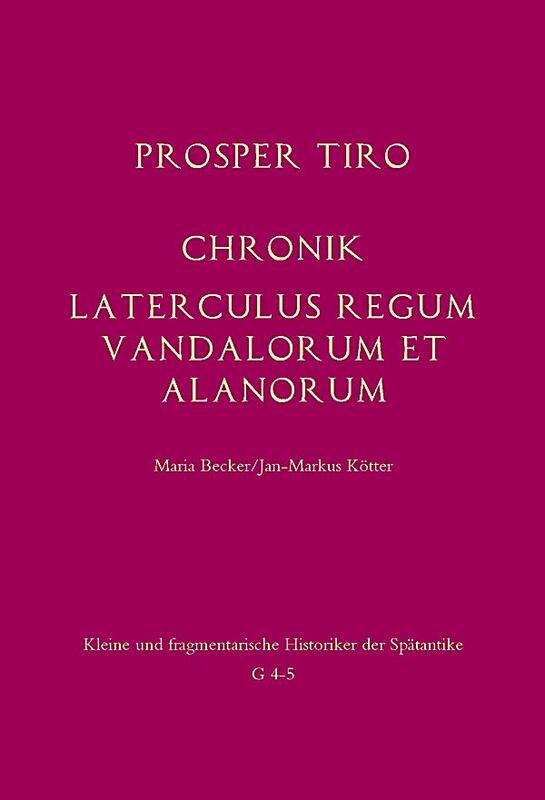 and was a brief discussion about...whether the 5th-century chronicler Prosper wrote an edition in A.D. 443! (As you may have guessed!) It could be taken as a fine example of scholarly nit-pickery, but it was worth doing because close scrutiny of ancient and medieval sources is and has been one of the methods we reconstruct the distant past. I thought it might help some readers somewhere while assuring potential employers that I was still at work. But how many such readers could there be? Well, this week I got a note from the Academia.edu site telling me that a Russian scholar was interested in having a look at the old article. I brushed it off and sent it off to the site. She saw it and thanked me. Two days later the site has recorded 27!!!views. Good grief! If any of you readers is really interested in the historiography of the Later Roman Empire and the origins of the medieval Latin chronicle tradition, the book version of The Fifth-century Chroniclers is still in print. But if you are just vaguely curious about the answer to the question in the article's title: I said, probably not. Image below: Somebody else's book on Prosper. I'll be teaching my senior seminar on medieval chronicles next year. I've found a good collection from UTP that gathers prologues from various ancient and medieval histories. We'll use that along with some actual chronicles and lots of secondary literature. Who knows, you might get more hits from my neck of the woods over the coming year!